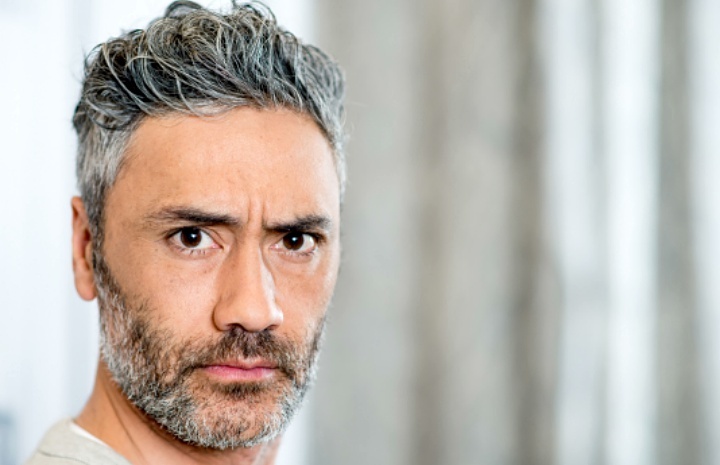 Taika Waititi is one of our favorite directors, actors, people on the planet … and as he finishes any project, the world anxiously awaits whatever’s next. Not only are his movies sheer delight (television, too), but the man has personality oozing from his every pore, so everything he does while creating and promoting also leaves us anticipating. I don’t think anyone was expecting this. No, he’s not playing Thor. Nope, not a ninja, either. Taika’s next movie role is something utterly unexpected. 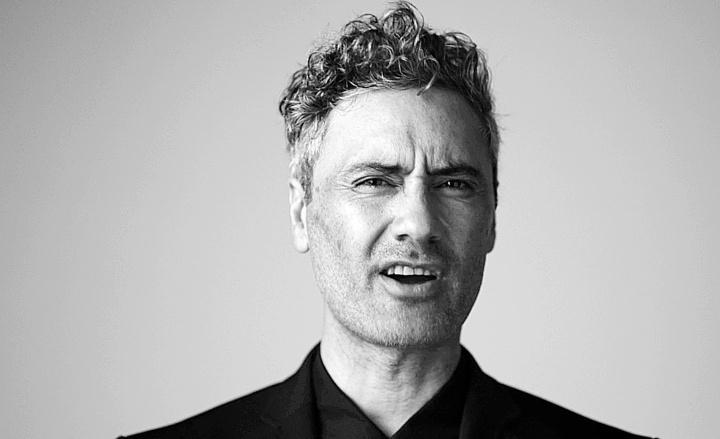 Okay, okay, but this being Taika, I’m pretty sure it will be … okay. 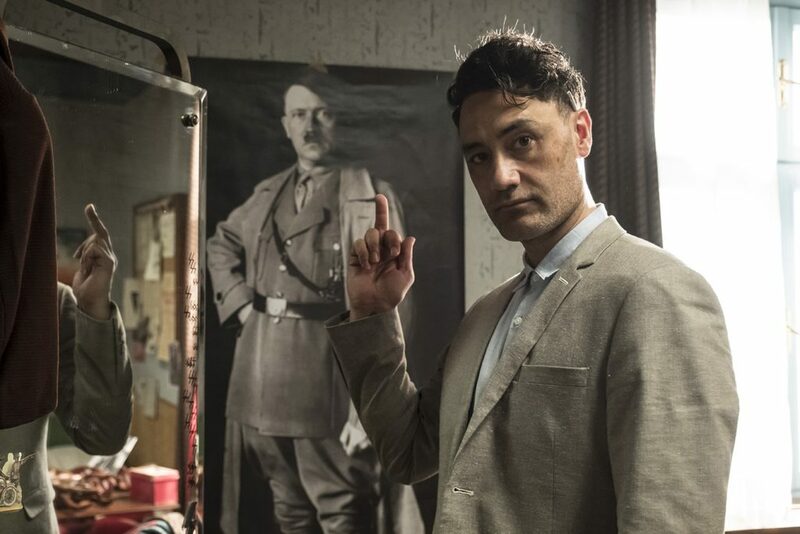 As Waititi promises, this satire will clearly demonstrate his anti-Nazi status. and Rebel Wilson as Fraulein Rahm. With the screenplay by Waititi, and also starring Thomasin McKenzie, Jojo Rabbit just bumped itself to the top of your must see list. And, in case you have any questions about Taika’s stance on racism, please to enjoy this fabulous short. Via Waititi’s Twitter, here’s the glorious first photo of Taika in costume. 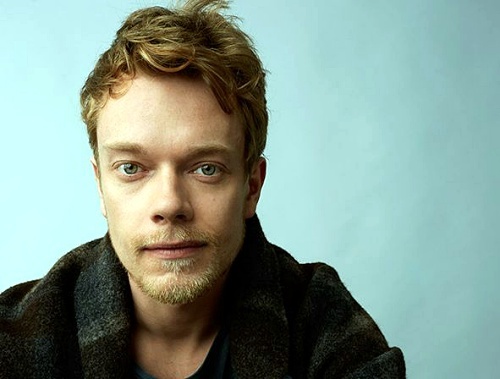 Game of Thrones‘ Alfie Allen aka Theon Greyjoy has joined JoJo Rabbit as Captain Klenzendorf’s (Rockwell) second in command, Finkel. Though we’ve rather gotten used to seeing Allen’s Theon as a victim over the past several years, I’ll have no problem seeing him as a militant Nazi. Tags: ... What better way to insult Hitler than having him portrayed by a Polynesian Jew? "Adolph HItlerAlfie AllenAlfie Allen FinkelAlfie Allen JoJoRabbitanti-Nazianti-warCaging SkiesCaptain KlenzendorfChristine LeunensChristine Leunens Caging SkiesCzech RepublicFraulein RahmGive Nothing to RacismI couldn’t be more excited to finally ridicule Nazis and their beliefsJoJo RabbitJojo Rabbit filming in PragueJojo Rabbit PragueJojo Rabbit Scarlett JohanssonJojo Rabbit Taika WaititiMrs. RabbitPraguePrague Czech RepublicracismRebel WilsonRebel Wilson Fraulein RahmRoman Griffin DavisSam RockwellSam Rockwell Nazi captainScarlett JohanssonTaika WaititiTaika Waititi HItlerTaika Waititi is playing HitlerTaika Waititi Jojo RabbitTaika Waititi racismThis film is going to piss off a lot of racistsThomasin McKenzieWhat We Do in the ShadowsWhat's Taika Waititi's next movie?